Well now, we haven’t seen a Rooney Tuned K for a while. 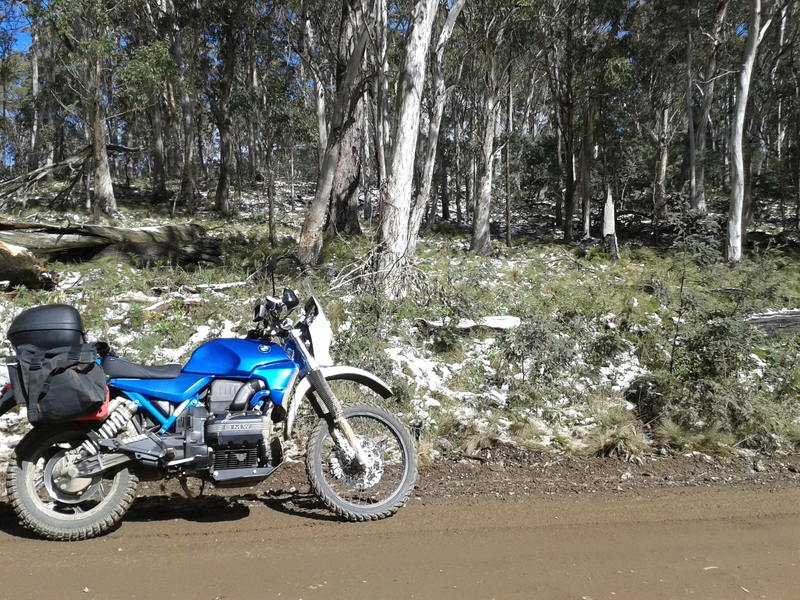 This one recently departed Paul’s workshop with owner Ian who, as seen below, has been fine tuning the machine with adventures through the Australian high country. Nice bike Ian. If you look over here on the Rooney Cycles tab and scroll down there are a couple of other K 75’s Paul has transformed into all road touring machines. They do lend themselves to the role very nicely. Hmm, there is almost enough now to add a subcategory on Ks alone on that page. Observant visitors will note also I have added another couple of pages. “37,000 words” (and counting) is a photographic library focused on the heady days of air-cooled BMW rally machines. Oh baby. Ungestort (‘undisturbed’) is a photographic tribute to the OEM BMW machine, in unmodified form. Here is that which has inspired so many of us to pursue dreams of our own. Some of us start at this point and some of us finish here. But every one of us is different and as such each of our machines reflect our ideals, our tastes, our needs, our plans and our visions. Every ‘Special’ is a story. That for me is part of the beauty of this machine and good reason to pay respect to the original. 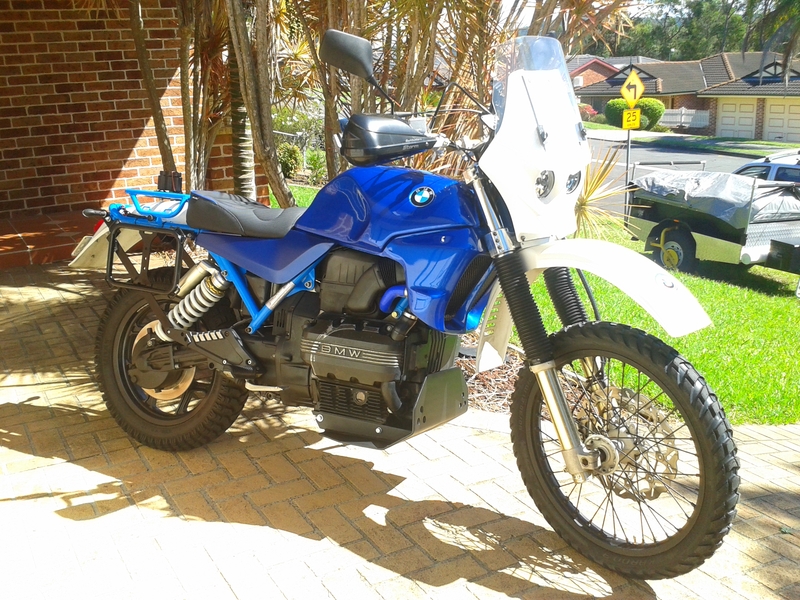 Here is another shot of Ian’s fine k75. Enjoy….